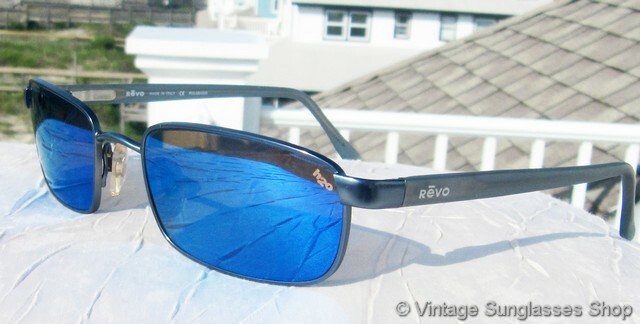 1 Vintage Revo 3005 084 Advanced Rectangle Flex sunglasses are one of the best high performance sports sunglasses you'll find, combining gray high endurance plastic ear stems that provide a unique color contrast with the Revo blue mirror H20 rectangular lens in a gleaming chrome frame. 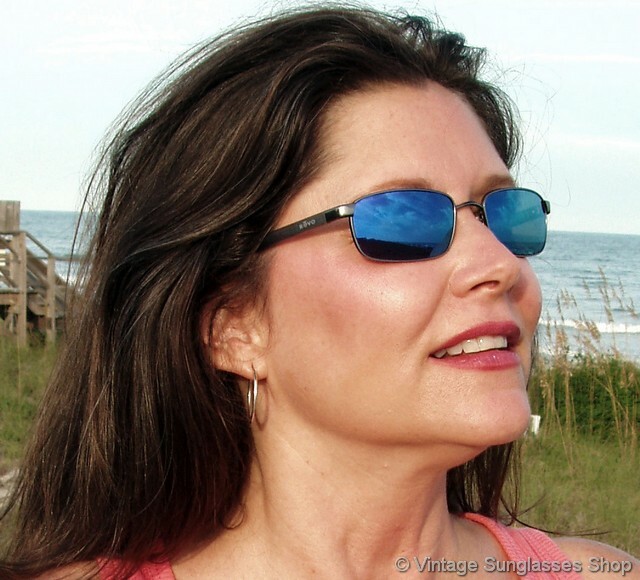 It's a great look ready for high performance and visual acuity from the Revo top of the line H20 polarized lens, and the frame's subtle wrap around the face helps to protect the side of the eyes from excess wind and sunlight. 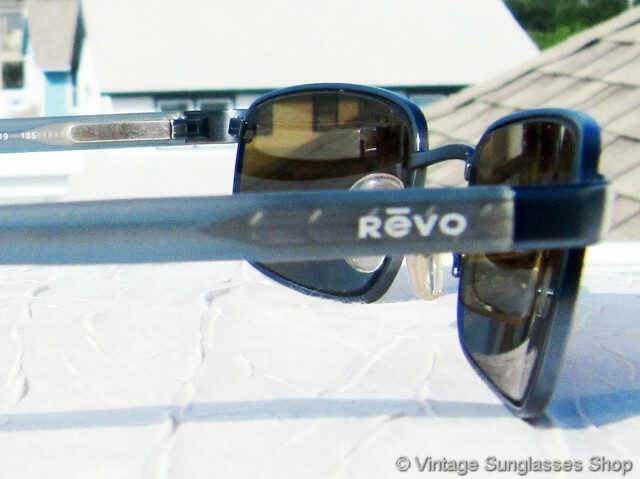 You'll find the Revo logo embossed on the exterior of both spring loaded ear stems, and the inside of one stem is marked Revo Made in Italy CE Polarized and the other marked 3005 084 S62 54 19 135. 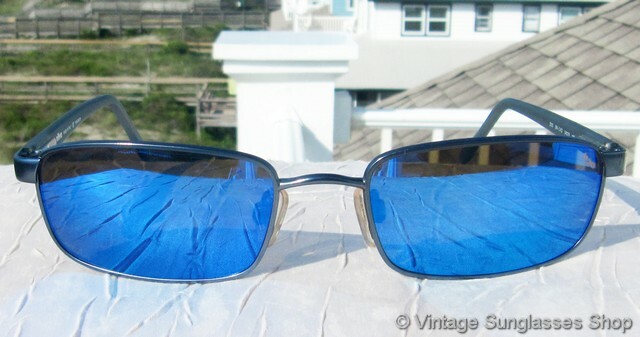 The highly reflective Revo blue mirror h20 polarized lenses measure approximately 2.125" x 1.25" at the widest points with the left lens laser etched H20 to indicate Revo's advanced polarization, and the unisex Revo 3005 frame measures approximately 5.25" temple to temple. 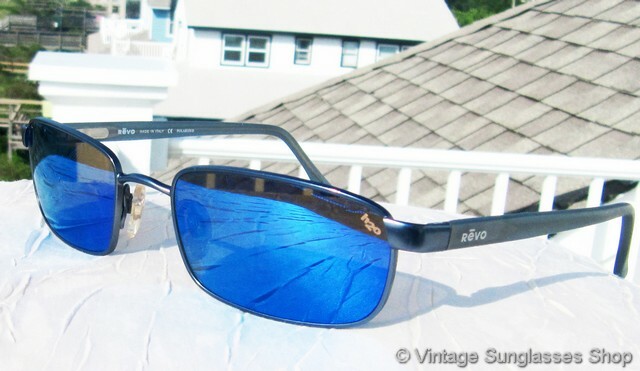 Sleek, sporty, and protective of your eyes with Revo's highest quality polarized lens, these come to you via an exclusive Miami, FL estate consignment. 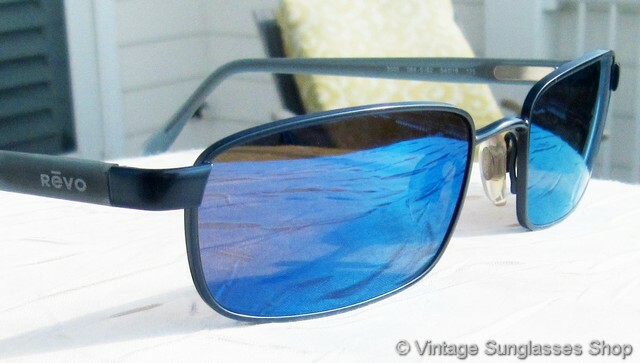 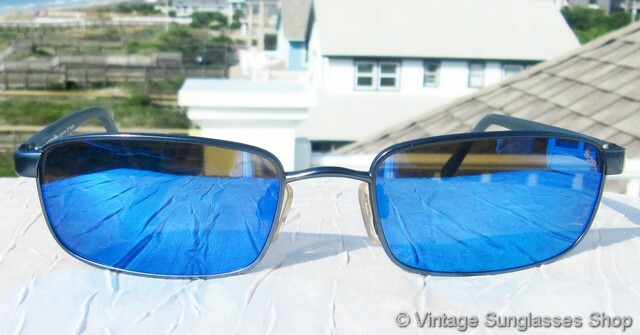 2 Step up another level beyond our already unequaled vintage condition standards with new old stock Revo 3005 084 Advanced Rectangle Flex blue mirror h20 sunglasses in mint, unworn condition. 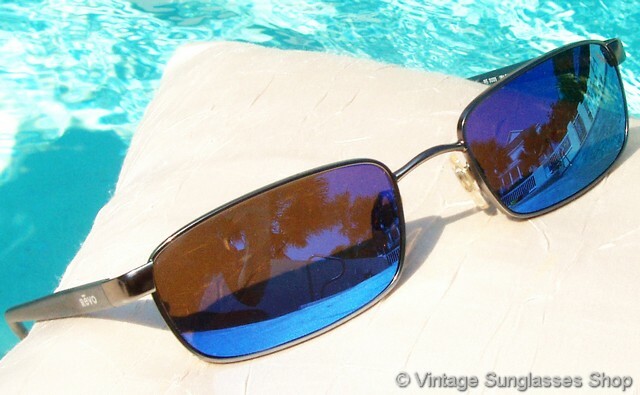 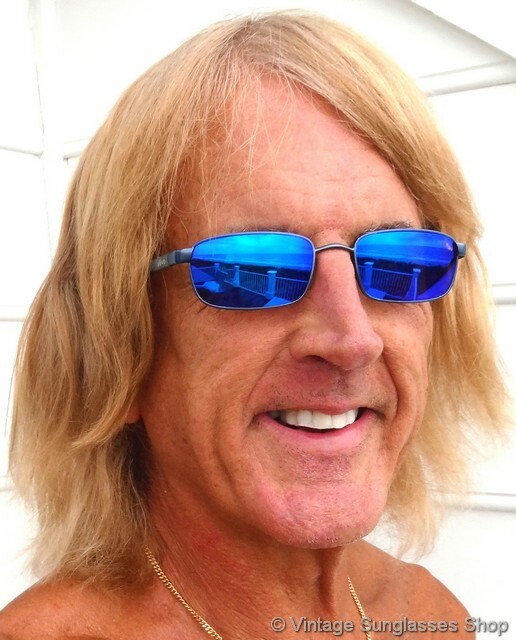 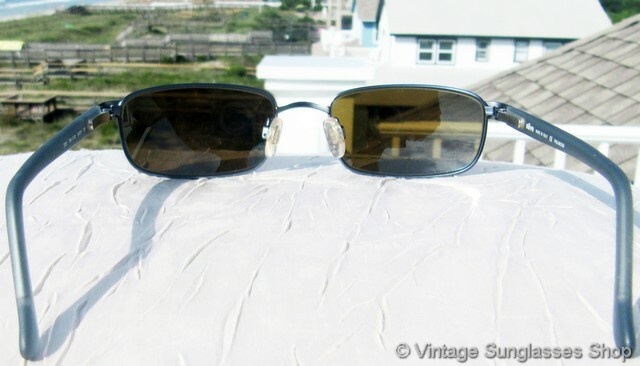 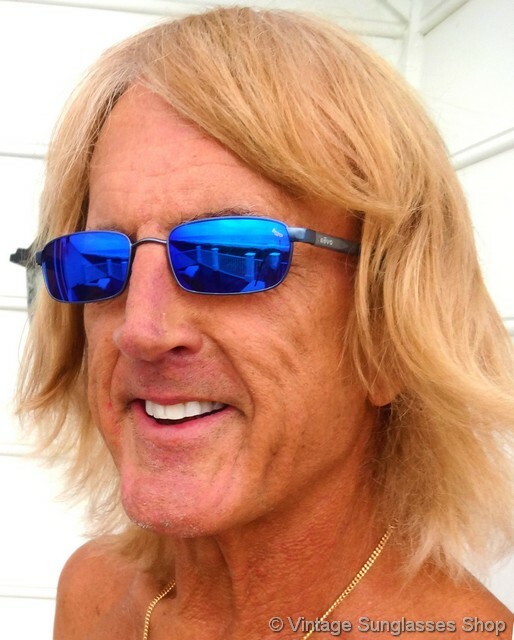 See our entire selection of vintage Revo 3005 sunglasses here, and thanks for visiting and shopping at the Vintage Sunglasses Shop.